The craft was designed to last just five years. 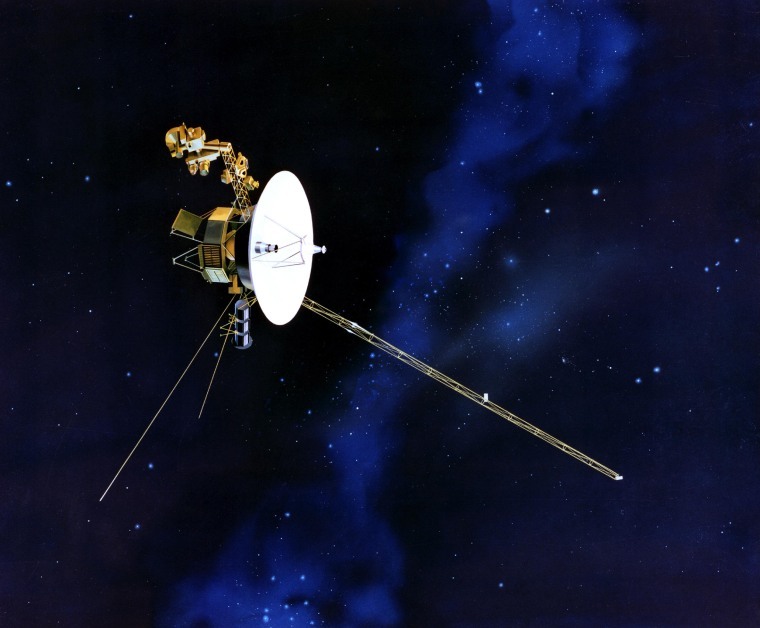 NASA’s Voyager 1 space probe was launched 40 years ago today, and a public event to mark the anniversary will be held today at the National Air and Space Museum in Washington, D.C. The event will start at 12:30 p.m. Eastern and will be live-streamed in the player below. The event will feature panel discussions about the Voyager mission and its impact on astronomical research and Earth’s culture. Panelists include Voyager mission scientists and Ann Druyan, creative director of the Voyager Interstellar Massage — the “Golden Records” that were affixed to Voyager 1 and its twin, Voyager 2. The Voyager mission was mounted to give the first up-close views of Jupiter and Saturn and their moons. But the original five-year mission was stretched to 12 years, and it also included fly-bys of the other two planets in the outer solar system, Neptune and Uranus. Even four decades on, NASA continues to communicate with the far-flung spacecraft, which are now far beyond the orbits of the planets in the solar system.